critical role in helping treat and prevent foot and ankle injuries. One in four Americans feel unable to exercise due to foot pain, according to a 2014 survey conducted by the APMA. 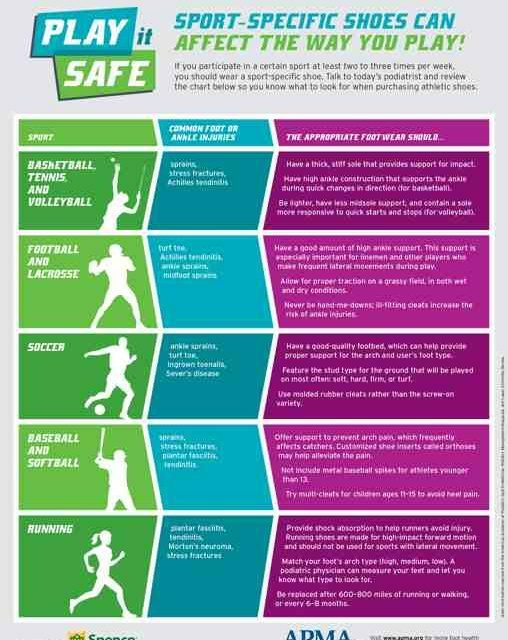 An infographic spelling out key points around Play It Safe is here. The “Play It Safe” campaign, occurring during April's Foot Health Awareness Month, will share important information about sports injuries, prevention, proper footwear and more. 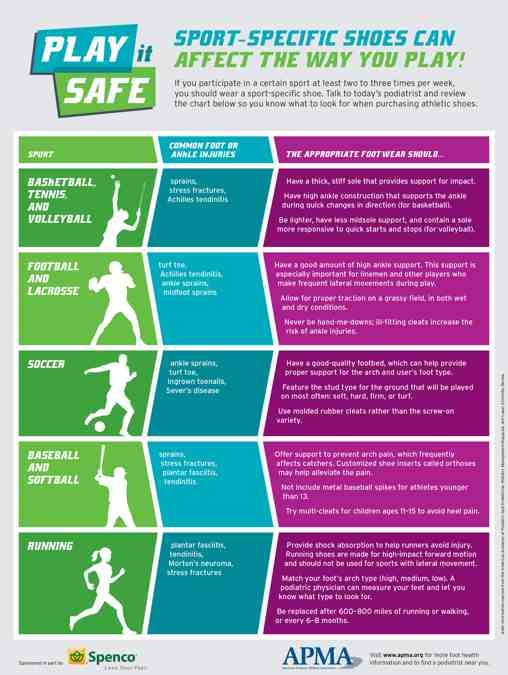 To learn more about the campaign, and to find a podiatrist in your area, visit www.apma.org/playitsafe. APMA has 53 state component locations across the United States and its territories, with a membership of more than 12,000 podiatrists.